Villena is located in the northern interior of the our province, less than one hour from Alicante, in the limits of the Region of Valencia, Murcia and Albacete. 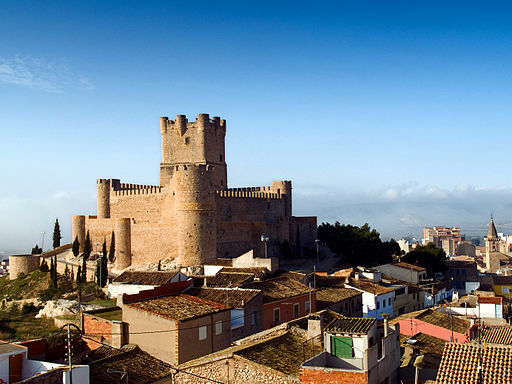 This city is an icon of the Region because of its characteristic watchtower which silhouette has given to Villena the nickname of “Mediterranean fortress”. Villena is the capital of the Region of Bajo Vinalopó and it is located at the crossroads of three regions, as a result, Villena is a combination of many things and all of them interesting for organizing a detailed tour from Colegio Internacional Alicante Spanish School. All the students arrive curious to the Region of Valencia and with good reasons because in our Region they always find something that surprise them. The monumental heritage of Villena is vast, so it is a must to take a leisurely stroll through the old town. The Castillo de la Atalaya, Castle of the Watchtower is presiding from the top of the mountain and defines the image of the city. It was built by the Arabs in the 12th Century and it is one of the best preserved, with its style of arches and its two lines of walls. We need to say, there was an older castle, but only the ruins remain. The whole set of the Plaza de Santiago captures the essence of Villena. Among its many religious buildings we must emphasized two important Gothic churches: Iglesia Archiprestal de Santiago, dating from the 15th Century, and Iglesia de Santa Maria, 16th Century. Not to mention in our trip the obligatory visit to the Archaeological Museum, located in the Town Hall, houses Tesoro de Villena, valuable pieces of jewelry of the late Bronze Age, one of the most popular prehistoric remains of Europe . 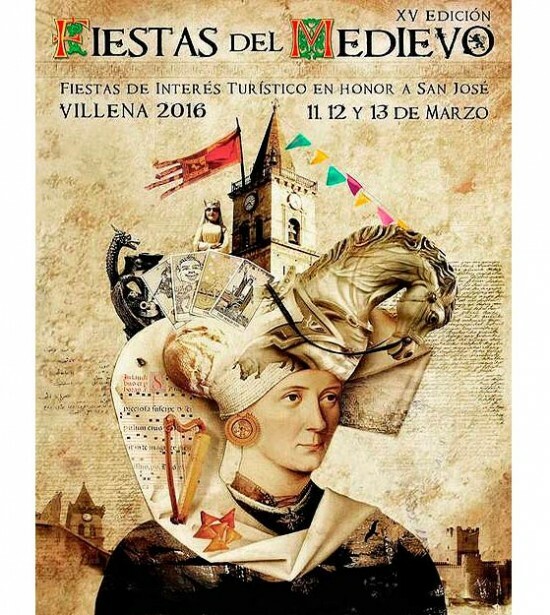 The Festival of the middle Ages, from March 11th to 13rd, has been celebrated for the last 15 years. This Festival has been declared of Provincial Tourist Interest. Three days of cultural events that have become important for Villena because attract many visitors to medieval performances of great accuracy: the arrival of the Catholic Monarchs, weddings, tournaments, fights and torchlight processions … All of them were developed in Barrio del Raval, an Arab neighborhood very well preserved, whose labyrinthine and narrow white alleys are filled with merchants, magicians, fire-eaters, archers, craftsmen… in a unique spectacle. To sample this video. However, the most important celebrations of Villena are Moros y Cristianos, the Festival of Moors and Christians held in early September in honor of Virgen de las Virtudes, who, according to the legend, protected the population of the plague in 1474. The celebration has a large tradition with many parades and thousands of tourists every year, good reasons to visit Villena, right?